The girls U12 singles competition in the 2019 DFS CNMI Junior Championships is down to four players after Seiyul Hong and Hoo Wang secured semis berths over the weekend. 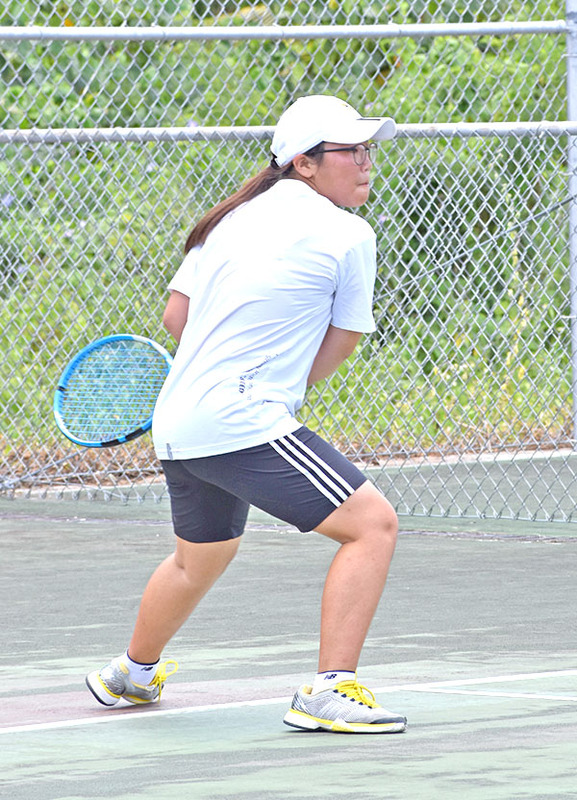 Wang notched the third Final Four ticket in the division after downing Anna Kwon in an extended game last Saturday at the American Memorial Park tennis courts. Wang prevailed in the first set, 6-3, but could not close out the match early when Kwon fought back and eked out a 7-6 (6) triumph in the second. Then in the deciding super-tiebreaker third set, Wang regained her bearings and outlasted Kwon, 10-7, to move into the semis where she will challenge No. 1 seed Irin Chung this weekend. Chung drew a bye in the opening week of the DFS Saipan-sponsored competition and automatically made it to the Final Four. No. 2 seed Dana Lee also got the outright semis ticket and will face Hong in the other battle for a finals berth this weekend. Hong needed only two sets to march into the semifinals after she topped Savita Sikkel yesterday, 6-4, 6-4. Sikkel will also play in the girls U12 doubles and this time will partner with Wang. They will go head-to-head against Chung and Lee for the division championship this weekend. 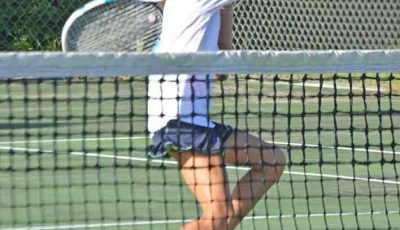 In other results, Malika Miyawaki drew first blood in the round-robin girls U18 singles after outclassing Maria Gregoire, 6-0, 6-1. Tania Tan is the third player entered in the field and did not play in the opening week, as she competed in the 10K event of the Guam Marathon yesterday morning. In the girls U18 doubles, Gregoire ended up on the winning side, as she and Hyejin Elliot swept Serin Ching and Miyawaki, 6-3, 6-2. Helen Kim and Tania Tan will also be playing in the round-robin contest. Kim, Serin Chung, and Elliot will also see action in the girls U14 singles event of the tournament, which is the last local competition under the Northern Mariana Islands Tennis Association’s 2018-2019 calendar and is part of NMITA’s selection process for the CNMI National Team that will play in the 2019 North Pacific Regional Championships in June on Saipan. In the girls U10 singles, Lina Tsukagoshi and Eubeen Hwang both defeated Ellie Cho to set up their title game in the division this weekend. Hwang was the first one to down Cho after cruising to a 6-1 victory last Saturday. Then yesterday, Tsukagoshi had a similar easy victory over Cho, 6-2.